At 50, hair turns grey and pattern hair loss is experienced by 30%-50% of males, 25% of females. At 75, more than 50% of humans experience hearing loss as they lose their ability to regenerate cochlear sensory cells. At and beyond this point, atherosclerosis becomes the leading cause of death worldwide. In the 1400s, when the average lifespan hovered at around 30 years, humans did not experience the entirety of the aforementioned process. Atherosclerosis is no longer the plateau and it is incorrect to assume that permanent atherosclerosis is the inevitable condition of humanity. The body is still fully capable of death. Once total organ failure, and the resultant growth of bacteria colonies becomes a universal aspect of life, it is more apt to say that live decomposition stands to be the inevitable, penultimate condition of humanity, followed by whatever sensations can be provided once the brain is all that remains. It is pertinent to state that this progression assumes perfect health on the individual's part and follows only the progression of time. The idea of brain transplants, also known as full-body transplants, is not new (Figure A1, from Béttung Sylfum, 1604 AD). It has appeared frequently, and primarily, in science fiction, perhaps contributing to the assumption that the entire procedure is as viable as fantasy. This is not the case. An identity is formed by, and restricted to, the specific combination of unique neural pathways, myelin sheaths and synapses found within an individual's brain. Beyond theory, this fact is proven. Robert J. White successfully transferred both the brain and the head of one monkey on to the body of another without any change in identity1. His brain and head transplant experiments, complemented by further experimental data23, indicate that successfully transplanting a brain, and by extension an identity, into another body is viable and possible. However, White's experiments were not successful enough to bring the procedure out of the speculative realm. The brain transplant monkey could not send instructions to the host body, and the head transplant monkey was not only paralyzed for the same reason, but dead in 9 days due to immunorejection4. White's failures, consequently, specify the points of action. Nervous tissue does not regenerate, nor does it heal properly. A large, if not the singular, reason why spinal cord injuries are so severe is that damage often, and permanently, becomes more severe after initial injury until multiple connections are permanently severed, with only experimental drugs providing partial relief5. The result is full-body paralysis and sensory deprivation. Therefore, developing regenerating neural tissue and/or a treatment that will engender regeneration is required. We can approach this in two ways. The first is natural synthesis whereupon we modify pre-existing nervous tissue so that it can mimic the regenerative/healing capabilities found in other tissues. The second option is synthetic synthesis, whereupon a new type of nervous tissue is developed that is both omni-compatible and regenerative. Natural synthesis, if successful, would lead to surgical personnel treating the tissue at the point of connection so that both brain and nervous system can heal into one another and, thus, communicate. Synthetic synthesis, if successful, would involve having lab-produced tissue serve as an effective medium between the implanted organ and the host system, leading to the same result. We must also overcome the issue that killed White’s monkey: immunorejection. 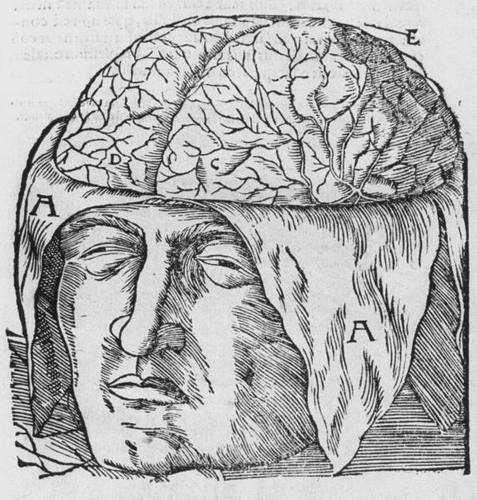 Initially, the human brain was thought to possess immune privilege6. However, this is not true. The central nervous system (CNS) utilizes a localized immune system that avoids an inflammatory response, but does not completely exclude it. However, there is also a significant body of evidence7891011 that not only does the local immune system have the potential to trigger inflammation, but also that the peripheral, more volatile immune system is active in the CNS. The implanted brain and the host's CNS must become acclimatized to one another without lethal interference from the peripheral immune system. This visceral quarantine can be achieved by significantly slowing down bodily functions during and immediately post-surgery. This suspended animation is best applied selectively, such that the brain and host system can meld into one another unmolested by the immune response. However, once the patient awakens and continues their life, flare-ups may occur. This is more simple; many pre-existing pharmaceutical products already list immunosuppression as a side-effect. The synthesis of a product that has this as its primary function is simple; at this point, the individual's ability to adhere to a prescription is the only independent variable when considering the possibility of catastrophic immunorejection. Although preventing and preempting immunorejection was listed above as requiring comparatively more research and development, it should be stressed that most of this endeavor, holistically, is a matter of refining technique, not necessarily developing new technology. Immunosuppression is already a dedicated sphere of research in medical transplants and, as stated, regenerative nervous tissue is already in live testing outside of Prometheus. As stated above, brain transplants go by another name: full body transplants. This product, as such, can be distributed as both a commercial and medical procedure, just as reconstructive surgery is sold to both celebrities and war veterans. Regardless, this is a global market as Grey-Matter Immortality Syndrome is a global and universal condition. The target demographics for medical, perfect brain transplants are the elderly and suffering (Figure B1). These transplants serve as a de facto panacea for both the incurable diseases of the period and the now perpetual ravages of aging. As such, this procedure will be viable and appealing for the incapacitated, the incurable, and the elderly. The former two demographics are significantly smaller (as the number of individuals over 70 will always be in the hundreds of millions) but substantial nevertheless (the newborn and the adult are both vulnerable to spinal injuries and genetic cancers). As a medical service, this treatment would serve as a constant alternative to the treatments currently existing for serious diseases and conditions. Chemotherapy for a terminal cancer, for example, would be offered alongside a new, healthy body. The target demographic for commercial, perfect brain transplants (Figure B2) is the wealthy and dissatisfied. Those with the resources to do so will pay to become more attractive, fit or somebody else. While most of these desires are the motivation behind those receiving the medical service, the healthy but dissatisfied would be willing to come in on their own volition, in mostly perfect health. As a commercial service, this would relegate the cosmetic surgery industry to a position of point changes. That is, only individuals attached to their current forms, only desiring to change a specific aspect about their appearance (nose, cheekbones), and willing to risk the side-effects, would forgo the new service. As such, there is some flexibility to pricing. As a medical service, the procedure can be priced as any ordinarily complex, but lifesaving operation. It would benefit from medical insurance, be practiced by trained, civilian professionals and become more or less an integrated part of the healthcare industry. As a commercial service, the procedure can be priced as a luxury. New elements to differentiate the commercial from the medical service would have to be in place. However, this can simply be allowing the customer to specify exactly which type of body they wish to inhabit. Further price adjustments, if necessary or desired, can be implemented using a pricing system that varies depending on certain attributes, such as hair color, age, fitness, gender and so on. While a surgical procedure cannot be exclusively owned or carried out, that is not to say Prometheus Labs is incapable of asserting a measure of ownership over both or one of the two variants of service should it choose to. As of right now, that would best be accomplished by seizing legal ownership rights over part of, or the entirety of, either the regenerative nervous tissue used, the treatment performed immediately post-surgery to prevent immunorejection, or both. Maximum profits can not be expected by simultaneous deployment. The most profitable approach would be the deployment of the medical service first to both build up goodwill, establish a market foothold and intercept any bugs that can be safely buried beneath both experimental technology and the condition of the patient's brain. The commercial service is best deployed after any present glitches are intercepted and demand for an apparently non-existent service rises. Delaying the commercial service will also allow us to eliminate/subsume any black market providers and their methods of operation, thereby saving time and bypassing the testing phase of operation. 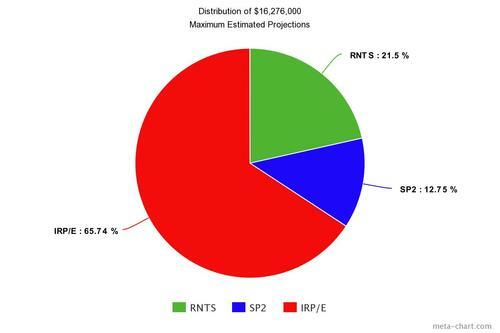 As shown in Figure 1, we estimate that perfecting the transplant will require approximately $16.2 million distributed unevenly over three, essential pillars of focus. It should be noted that not only is this funding projection a maximum estimate, but also that typical ventures of this nature cost around $2.6 billion. We intend to act on a sizable amount of pre-existing research. The lack of a projected time-frame will be addressed. Regenerative Nervous Tissue Synthesis (RNTS), the first pillar, must be achieved so that the implanted brain can interface with the host's CNS and body. The synthetic and organic approaches detailed above may be investigated consecutively or concurrently; a completed product is necessary but a strict time-frame is not, as will be detailed below. As RNTS is fundamentally concerned with developing a critical substance that is introduced to the patient(s) prior to operation, pharmacology serves as the best reference for funding. Standard drug approval (through the FDA for example) is lengthy and costly, costing on average $2.6 billion distributed between lab testing, clinical testing, legal fees, etc. However, we can greatly reduce costs due to the renewable nature of our test subjects (GMIS excludes damage done to subjects from any and all cost estimates) and by keeping all of our research and development in-house. Most pertinent materials and resources are already in stock, can be synthesized in laboratory settings, or acquired from both civilian and outside parties. The acquisition of test subjects is detailed further down. Immunorejection Prevention/Elimination (IRP/E) is concerned with the actual viability of the operation. The patient should be able to live out the host body’s life as normal. RNTS will ensure the host body will be able to receive instructions from the implanted brain, and SP2 (detailed below) will ensure the procedure is physically possible. Thus, IRP/E is dedicated to preventing and/or countering immunorejection. This is the most complex pillar, and the one that requires the most research and development. As such, we can recycle the pharmaceutical development process again, but more fully. As this builds upon a less sizable amount of pre-existing research, this will be the most expensive pillar. Surgical Procedure Perfection (SP2) is comparatively simple. Brain transplants are not common-place but regardless have already been carried out successfully. Funding will be dedicated to sustaining surgical professionals who will be tasked with developing a standardized procedure for both the removal and implantation of brains. While this is the simplest task, it should only be initiated following success in the other two objectives. A perfect operation with effectively regenerating nervous tissue will fail due to the host's immune system rejecting the brain. A perfect operation with an immunorejection countermeasure will fail as the brain won't be able to transmit/receive instructions to the body: the very state of existence this project is striving to prevent. Human test subjects are not a concern. First of all, Grey Matter Immortality Syndrome naturally means that viable brains can be recycled for future tests independent of the success of the previous experiment. Furthermore, they are attainable. Negotiations would be required, but viable test subjects for any and all of the pillars can be solicited from the Foundation or the black market, if absolutely necessary. Then there is the lack of expected amount of time needed/desired to complete these objectives. A timetable for completion is present; however, as long as the project is completed, the time it takes is no longer a factor. There is an age restriction present. An adult’s brain will not fit into the skull of a child. This is a fairly minimal issue as the brain reaches its full size at around the 9-12 age bracket: customers would still have access to a substantial variety of host bodies to choose from. The next issue involves the law of conservation of mass and ethical practice. Mass can neither be created nor destroyed. If a brain is being transplanted into a host’s body, then something must be done with the host’s brain which will, as of now, continue to live whether or not it's in a body. We have yet to develop the technique needed to create fully functional human bodies that are only missing a brain. Ideally, the medical service would use only the bodies of humans who are comatose and/or dangerously criminal. However, this is not a viable strategy for the long-term (or even short-term as far as certain age brackets are concerned), nor for all terms as far as the commercial service is concerned. Thus, there are issues surrounding both the acquisition of host bodies, and the disposal of host brains. The latter could be resolved by some method of storage for discarded brains in a way that can be considered humane by the appropriate authorities. The former is most problematic for the commercial service as the customers who pay for the luxury of choosing a new body will be discriminate and not accept just any body. It is also a fairly certain possibility that the commercial service will exclusively utilize youthful, healthy, attractive hosts. The solution to this problem, as well as the general one of host acquisition, lies within the combined fields of bioengineering and genetic engineering. Until then, or if those fields fail in their endeavors, other humans must be utilized. Thus, this issue is best understood not as one present due to logistical or viability concerns, but rather due to moral hygiene. 1. Mims, Christopher. "First-Ever Human Head Transplant is now possible, says Neuroscientist, July 1, 2013"
2. Ap (18 June 1982). "Transplant Success Reported With Part of a Mouse's Brain". The New York Times. San Francisco. p. 9. 4. McCrone, John (Dec 2003). "Monkey Business". Lancet Neurology. 2 (12): 772. 7. Galea I, Bechmann I, Perry VH (January 2007). "What is immune privilege (not)?". Trends in Immunology.